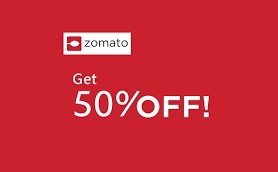 Order your food at zomato and get 50% off up to ₹100 through rupay card. Offer is valid for all users. 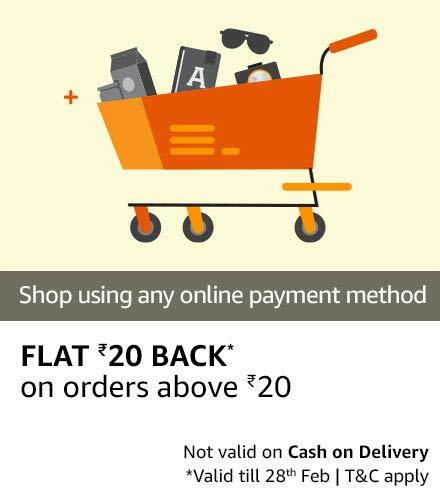 Make payment at Amazon.in for your order using any online mode of payment and get flat cashback of ₹20 on minimum order value of ₹20. Offer is valid on Debit,Credit,Amazon pay balance,Netbanking. Collect the cashback offer and pay for your order on Amazon.in using any online mode of payment (Debit/Credit cards, Amazon Pay balance, Netbanking) and get flat Rs. 20 cashback on a minimum order value of Rs. 20. February 1, 2019 to February 28, 2019 (both days inclusive). The maximum cashback you can get is INR 20. Take uber rides with paytm wallet and get 75% discount on your next 5 trips, isn't awesome deal? So what are you waiting for book your uber and make payment with paytm wallet and save up to ₹325 cash on next 5 Uber rides. Offer is valid for all users. Get 7% off on your next 5 Uber rides (up to Rs.75/ride) when you make payment via paytm with Uber. Simple enter code DIGITAL5 in the ‘Payment’ section of your Uber app to unlock your rewards. Downlaod Uber app from here and get ₹25 off on your first uber ride. The discount/cashback would be limited to 75% of the entire trip value upto a maximum of Rs.75 on the first five trips with oaytm. Cahsback is aplicable during offer period. Maximum cashback up to ₹75 per ride. Offer valid only on the first 5 trips taken in the offer duration. Cashbacks will be credited to your Paytm Wallet within 48 hours. Hello friends, Here is an offer for selected airtel users in which users who make prepaid mobile recharge and make payment with Airtel Payment bank, will receive 50% cashback of the transaction and maximum cashback is ₹150 during the offer period. Bingo! You will receive 50% cashback of the recharge amount. This offer is valid only for selected users chosen by Airtel Payments Bank. Minimum transaction amount to avail this offer is Rs 20. Offer Valid till 16th Jan 2019 once per user. Ticketnew is online movie ticket booking platform where you can book your movie ticket online and avail exciting discount/Cashback offers. Here is an offer where you can get 50% cashback by making payment via paytm but this offer is valid on 2.0, Seethakaathi, Njan Prakashan, KGF, Zero, Adanga Maru, Kanaa, Antariksham 9000kmph, Boomerang, Simmba, Padi Padi Leche Manasu movie tickets. Get 50% cashback upto Rs.150 on total ticket price for Christmas release movies, when you pay using Paytm wallet at TicketNew. Offer applicable on 2.0, Seethakaathi, Njan Prakashan, KGF, Zero, Adanga Maru, Kanaa, Antariksham 9000kmph, Boomerang, Simmba, Padi Padi Leche Manasu movie tickets. Offer is valid till 31-12-2018 11.59.59 PM. Use promo code XMAS50 to get 50% cashback upto Rs.150 on total ticket price for Christmas release movies, when you pay using Paytm wallet at TicketNew. Offer applicable on Seethakaathi, Njan Prakashan, KGF, Zero, Adanga Maru, Kanaa, Antariksham 9000kmph, Boomerang, Simmba, Padi Padi Leche Manasu movie tickets. Promocode is valid on bookings with minimum total ticket price of Rs.300. Cashback will be credited within 3 – 7 business days from the date of successful transaction. TicketNew and Paytm reserves the right to change/modify or stop the campaign without giving any prior notice. Recharge your DTH at Paytm with minimum ₹100 and get cashback of ₹30 to your paytm wallet but this offer is valid only for Airtel DTH users. Offer can be availed once per user during the offer period. Applicable only for Airtel DTH recharge on Paytm. Minimum Airtel DTH Recharge amount is Rs 100. Cash back will be credited into the user’s account within 2-3 hour after completion of the order. Maximum cashback can be earned is Rs 30. Recharge your DTH at amazon and get 20% cashback in the form of amazon pay balance to your amazon account. This offer is valid for all amazon pay users and max cashback is ₹50. Make the payment and your cashback will be added to your account within few minutes. Make a Direct-To-Home (DTH) recharge on the website www.amazon.in and the mobile site and mobile application thereof ("Amazon.in") using any electronic payment method and get 20% cashback. The total cashback that a customer can avail during the offer period is INR 200. There is no minimum recharge amount / value required to avail the offer. Offer is valid till 31st December, 2018. The cashback under this offer will be provided in the form of Amazon Gift Card(s) which is/are redeemable as Amazon Pay balance within 3 days of the recharge. This offer is applicable on DTH recharges for all operators.